I vaguely recall seeing photos of these back on eBay in 2006 and maybe 2007 – as priced zoomed, people were buying them everywhere and trying to sell them. The backs are definitely international cards and it seems safe to guess they were early ones – as Mattel just scrambled to get them out … so in removing the front plate on the US ones, they simply added stickers to the bottom. Presumably just to countries where a second language wasn’t necessary as all the warnings and such are on the back – the UK? Australia? Any insight? Anyone have a set of these? Jasnkar4ever would like a little help in finding the other 9? Yes I am !I love these cars and have almost every existing collection euro and us from the desert and supercharged collection!for the world of cars and cars o rama I am only collecting european cause it is really getting to much to do both!There is also A european desertdesign Mack WITH McQueen which I have never seen anywhere else!Also the 2 boxsets with each 6 cars including bowlin Mater exist European!I will try to post some pictures next time!Latest news in Belgium the first case of single cars race o rama have arrived!Leaving me with 26 cars on A european world of cars back still to find!I love it!!! Cool! I don’t plan on collecting these, but would love to see the pictures. I have 2 complete sets of these at home!You see this is the problem with everything cars and toys in general it is always focused on the us market!If you live in Europe you would have seen these beauties!I have even more news on this I keep my own checklist about cars cause like I said everything is only based on the us market and so they are all incomplete!In the us the 12 back series existed in 3 versions!In Europe we had 2 I have them both complete!The first euroserie did not have a name in or on the box at all only on the back and there is the same type of error like the first us 12 serie the wingo lizzie and sarge do not even have names on the back of the card but there mattelnumber!The 2nd euro 12back serie has the name written inside underneath the car(my personal favorite serie).Later on when the 16 back came they also did not have any name on the front only the back and also again same error like the us16 back I have the 4 new cars with 1l fillmore and 2l fillmore!I personaly like the eurodesert cars more cause there is no nametag in front of the car so we got a full look at the car!By the way same thing with the euro movie moments!Well my friends I hope this is usefull information for all you completists!keep hunting! I did complete the original DB12 and DB16 series recently….BUT I cannot find the box I put the WHOLE DB16 into…it just dissapeared….MEGAHEAT have you been going through my stuff again?? I have this theory that every home (especially those with children) has it’s own black hole. I don’t know how the physics works out on this, but I’m pretty sure it’s real. I think you are correct LiamsMom…but we did find Guido’s Clown Wig under the fridge, so maybe it spits stuff back up too!! lol I hope so, because my girls have 6 shoes missing their sole-mates. Actually I lowered my price to $49.95. But I love you all anyway! This is my first post! although I’m a big stalker of the boards! 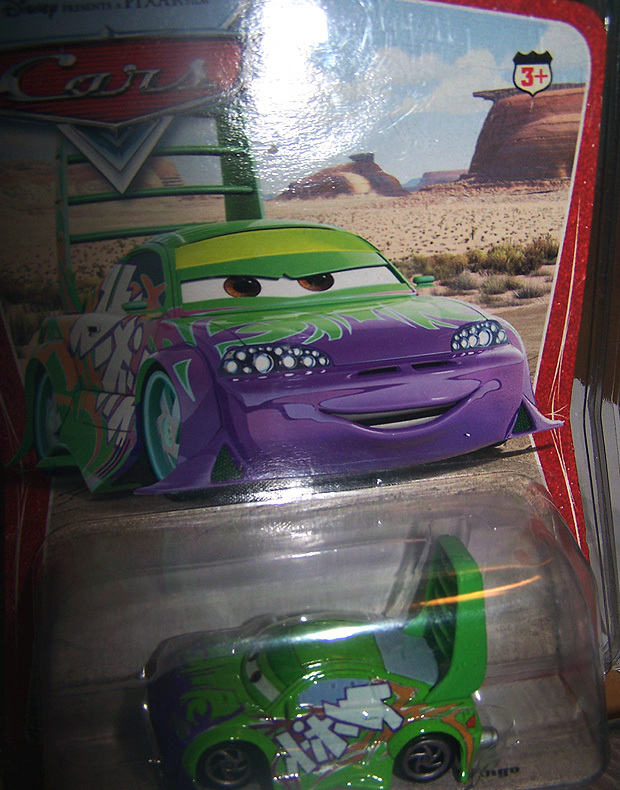 so where did you come by this Mater? 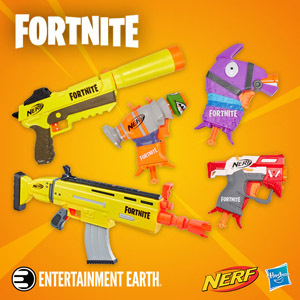 anyone else find it a little bit saaaaaaaaaad that someone would want to get a set of what they already have, just with slightly different packaging? its not like in the future someones going to want to buy every single cars car at once, with all variants and packagine diferences? I don’t find it sad. To each their own I say. There are some people NOW who buy every packaging difference. Why wouldn’t someone in the future? I collect one of each car in each series, which is basically the same as same car different package. I don’t like having only part of something. I could have started with the DB series and just added the newer releases in SC and WOC and such, but everything would look so out of place to me. 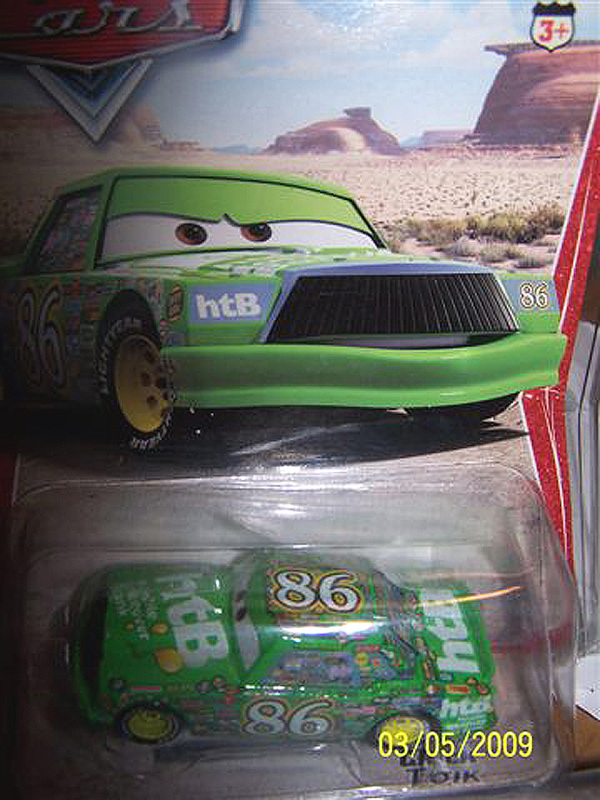 I don;t know if I wood use hte word sad, but I do not understand the need for every car in every series and esp with every variant, but like shadow said, if they want to give Mattel even more money then to each their own…to me one of every car is a complete collection… glad I am not a completist!! 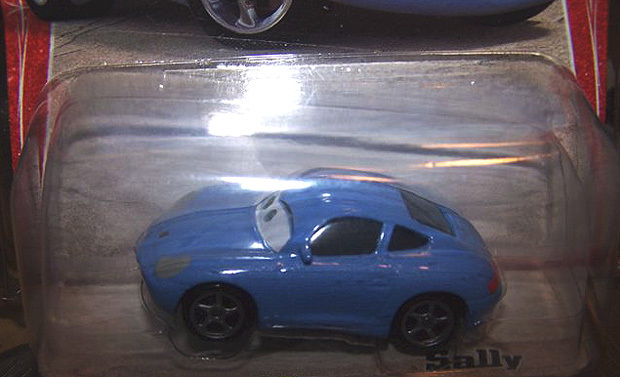 I too only collect one of each car unopened and one to open. For one, no space for them all. Two, no money for them all! My hubby gives me enough grief for buying 2 of every car. I could imagine what he would say if I had 4 or 5 of some cars. I have picked up some DB ones that I have found at Target lately-someone must of had a good hiding spot in that backroom! Every now and then I will find one lonely DB car just hanging on the pegs. Hi Roswell, you do realize that you, and the rest of us, collect KID’S TOYS, right? Now I would imagine there’d be a ton of people out there that would find that a little saaaaaaaaad too. …I don’t think any of us are really in any position to be criticizing what anyone else does on these boards….unless you’re a 4 year old. hmmm….but do you see people wanting to buy an absolutely complete set including variants and package diferences of the original ERTL Thomas the Tank Engine die cast trains? or every single Star Wars figure ever bought out ever? every series, every veriant, and every character? ill stick to buying the cars i like…and ripping them open like theirs no tomorrow!…but still making sure the cars doesnt get scratched in opening process! you should look up Steve Sansweet or Philip Wise. I think the completists want every car, variant, etc for their own joy. Also, these variants would probably be worth more in the future than the regular released ones because of the extremely limited supply. I wish I could collect them all, and be a complete completist. I would love to clam my OCD by having every single one! But I don’t have the money or space for such endeavors.. If I did, I would be all for it! And I wouldn’t be getting them to sell, just getting them for me 🙂 But don’t get me wrong, this is just my opinion and I can see both sides of the argument! Keijisdad — good point! We are collecting KIDS toys, can’t honestly take ourselves too seriously… haha! As you showed in an earlier post the European cards are in English and Greek which baffles me. French and/or German would be understandable, Dutch unexpected, but Greek ??? hmmm. maybe that is some universal language i don’t yet understand. The full plate I have shows “Tσίκ Χίκς” in Greek. If you can’t read it, change font code to Greek. I don’t know how do type in Greek, but “Kupios” is pronounced “Curios”, with the “o” sounding like “a” in “father”. That means master. Interesting they call King master, because I’m pretty sure they have a word for king….